this happened because i had mushrooms, peas and turkey bacon. 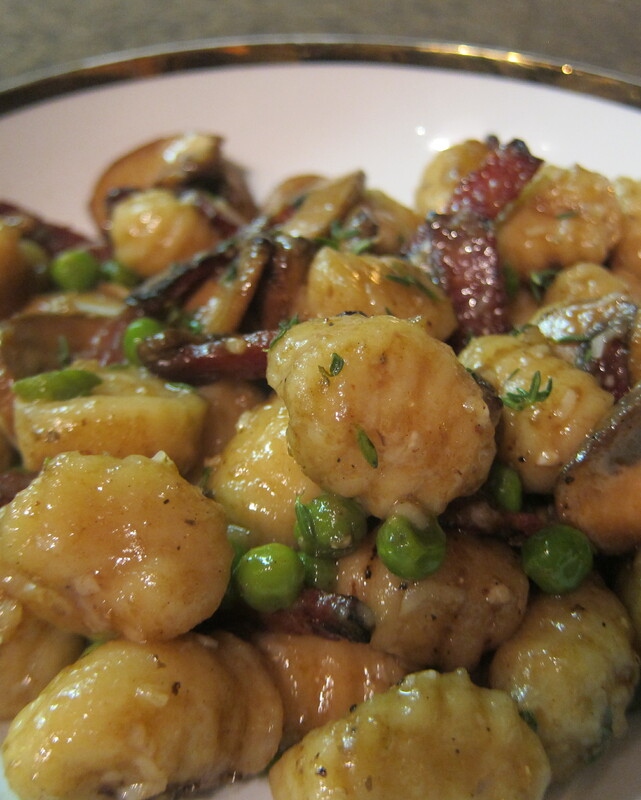 and was in the mood for gnocchi. 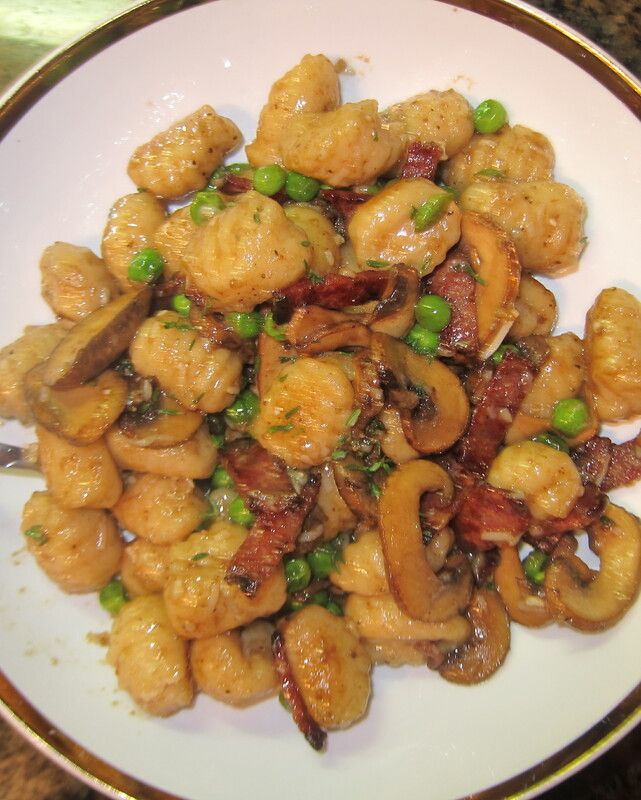 its hearty and yummy and comforting in all of its saucy starchy glory. cook the bacon over medium heat until really crispy. 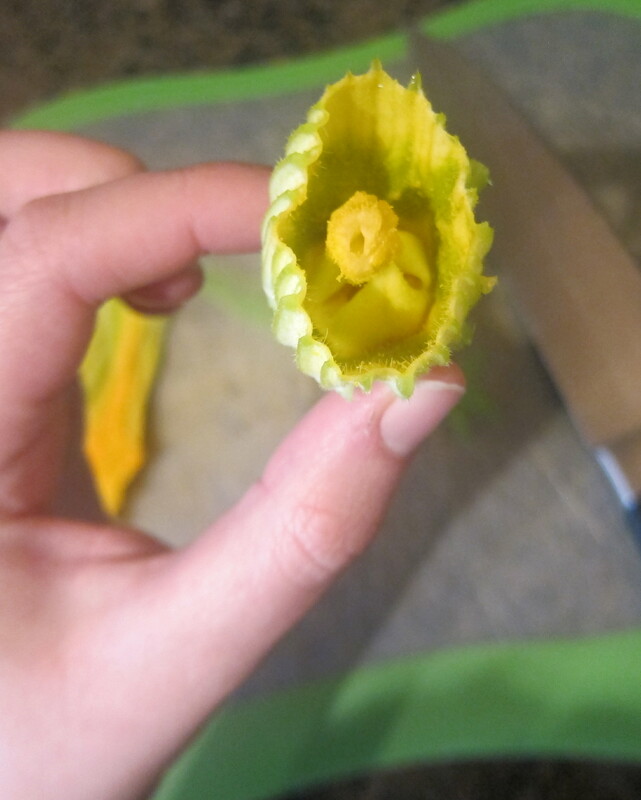 remove from the pan, slice into 1 inch strips and reserve. add a small bit of butter to the same pan. 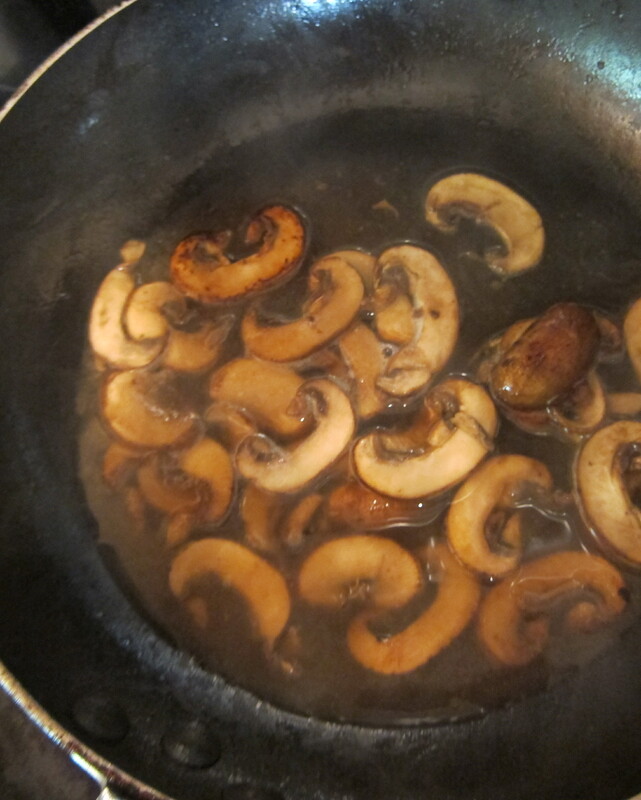 add in the sliced mushrooms, cook over medium heat about 7 minutes until really browned on both sides. 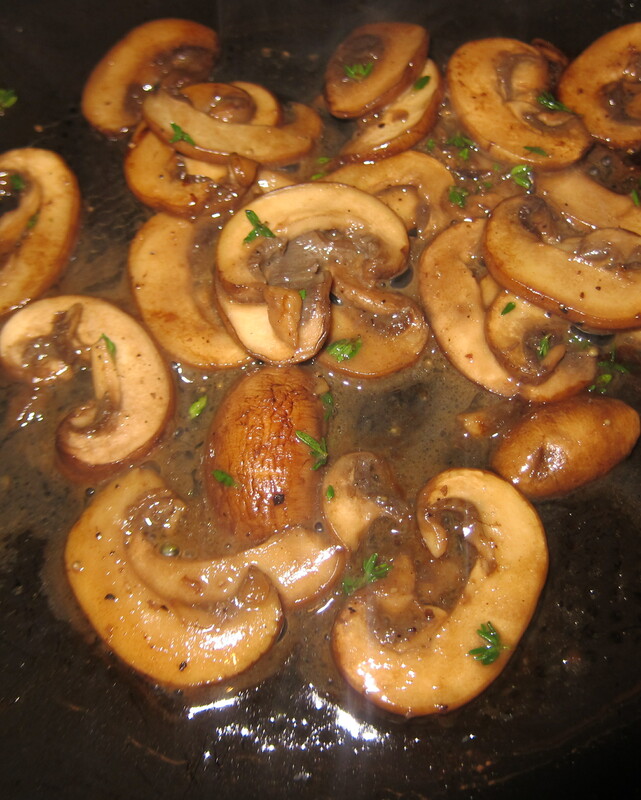 taste the mushrooms/sauce and adjust seasonings as necessary. it should taste mushroomy saucy yummy. 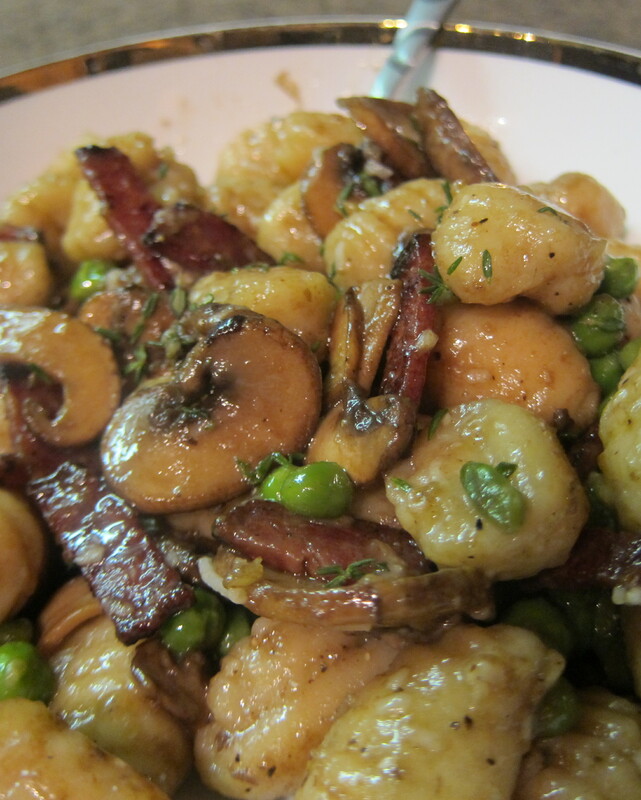 add in the peas and bacon. 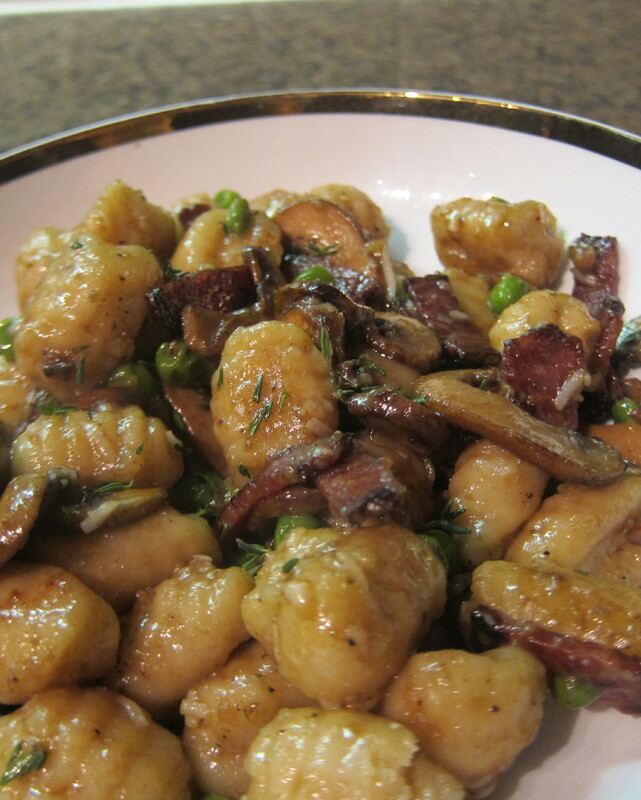 let it all come together for a minute before adding the gnocchi. add a nice pinch of parmesan, give it a nice big toss! add more butter or chicken stock if necessary. 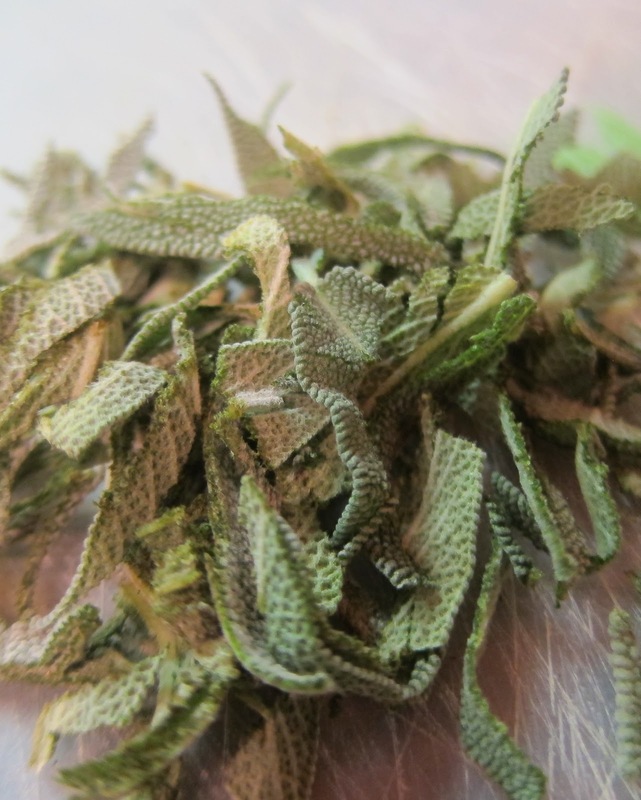 adjust seasonings, garnish with more cheese and more fresh thyme if desired. prepare for a photo shoot….sorry i was a little obsessed with the goodness of this dish. 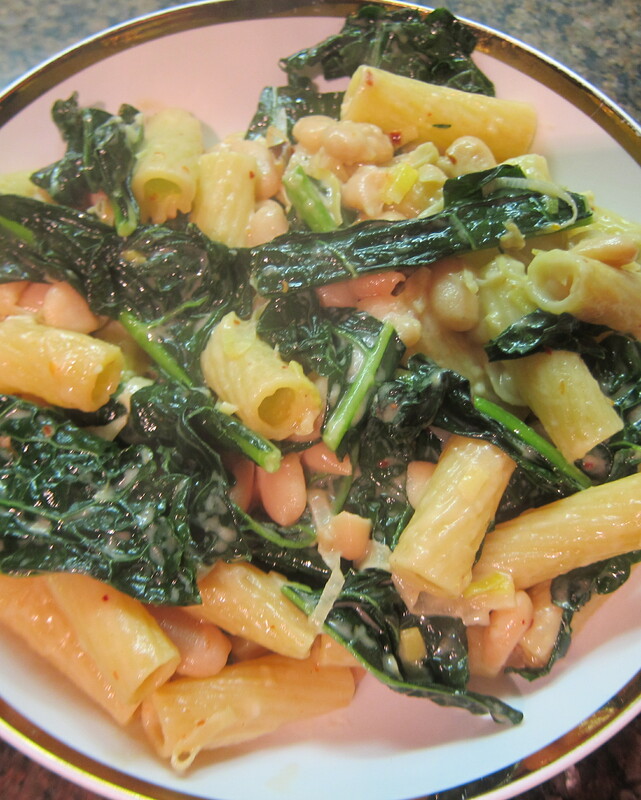 white beans and escarole is a classic italian combination that is used either on its own as a vegetable dish or with pasta. 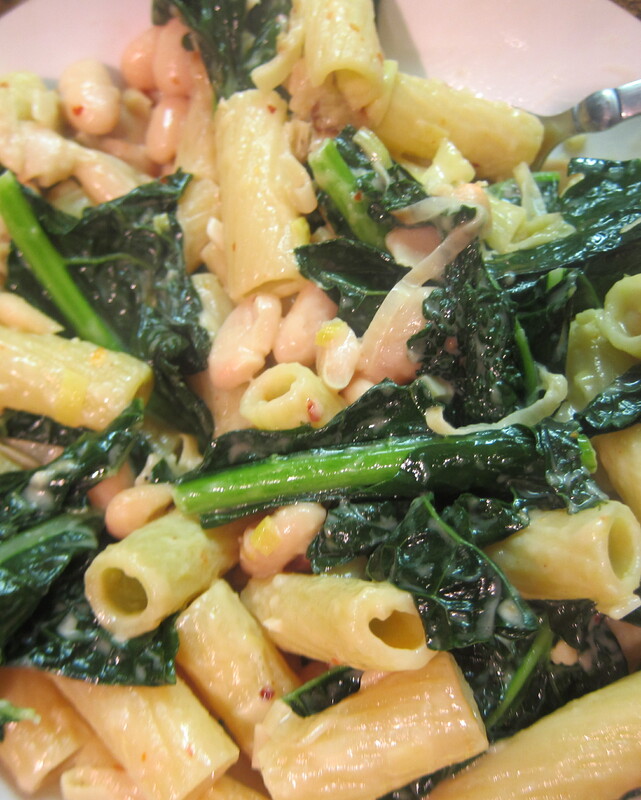 my sister and i love love love a white bean and escarole fusilli pasta at an italian restaurant in south florida. last time i was home we were supposed to get it for dinner but due to some unfortunate complications, it never quite happened and i’ve been craving it since then; and so, here is my version. Since this is such a simple dish there is one very important factor: the size, shape, and done-ness of the pasta. for this dish, the rigatoni really works the best. 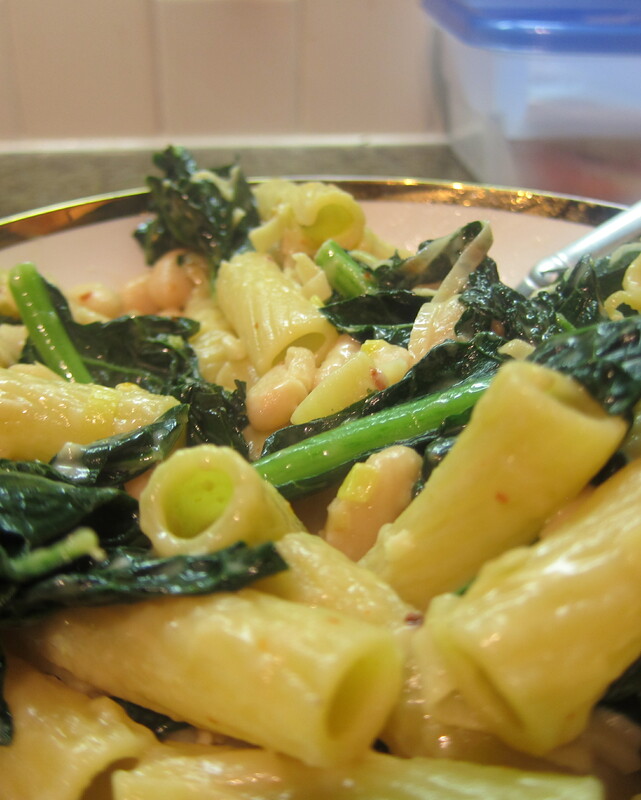 generally, in a pasta dish you want everything to be the same size so it’s easy to eat, the kale and the rigatoni are about the same size. the reason that there are so many different pasta shapes is because each shape works better with a certain sauce, for whatever reason, wide and thick rigatoni (i could only find long and normal size) works the best in this dish. the pasta needs to be REALLY al dente, you want there to be a substantial bite left to your noodle, about 7 minutes cooking time should do it-i would say no less than 6 minutes and no more than 8. 1/3-1/2 of a box of rigatoni try to find the widest, shortest noodle you can but what is pictured is all i could find. definitely go wider than penne if you can! bring a medium sauce pot of water up to boil. in a very large skillet heat 1 T of olive oil over medium heat. 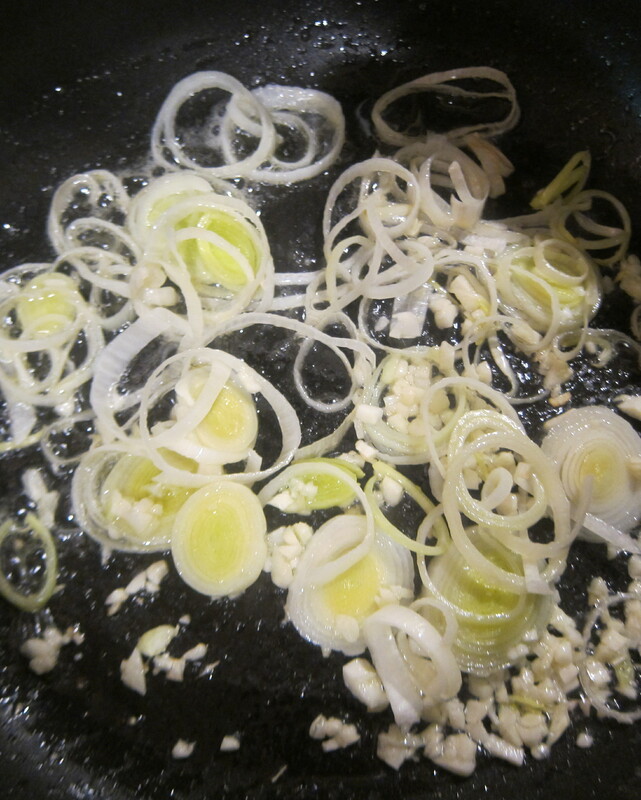 add the leeks and garlic, saute until soft and fragrant. 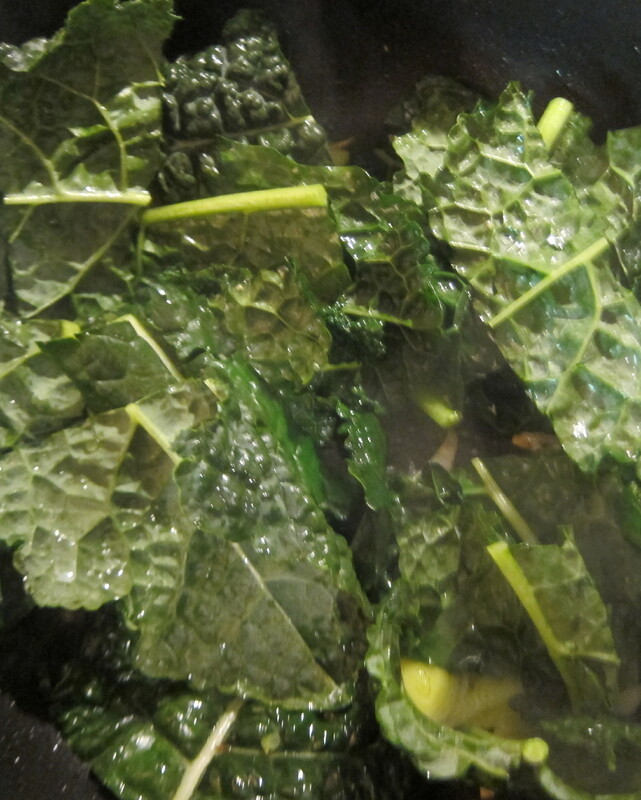 Add in the kale, 1 T of crushed red pepper and half of the stock. Stir, cover and let cook 5 minutes. Add a large pinch of salt (a few T) to the boiling water, add in the rigatoni and stir. 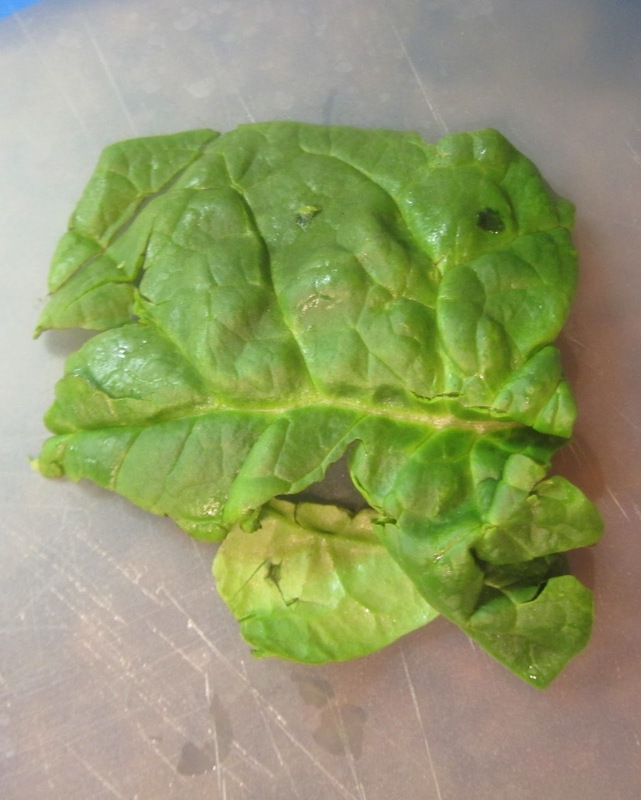 Reduce the kale to low heat, keeping covered. 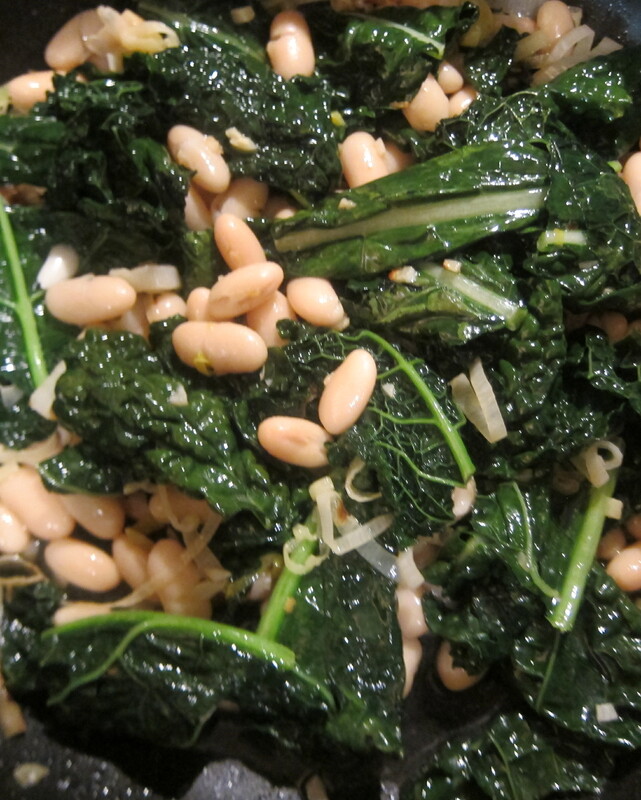 Once the pasta is finished drain it and pour it into the kale mixture along with the drained beans. add in 1 T of olive oil, the rest of the stock and more crushed red pepper, to taste. 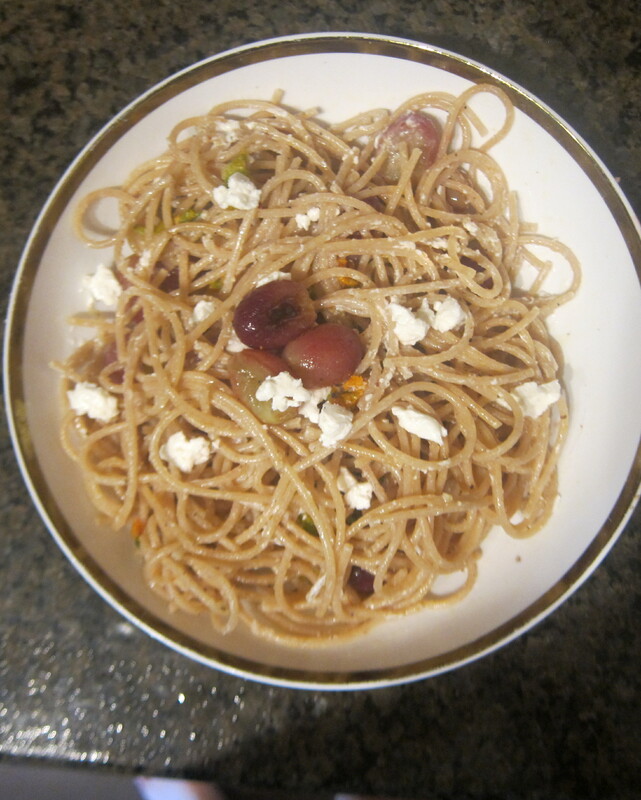 it is really embarassing how much i post about pasta dishes. pastaholics unanonymous right here. it’s truly a love-hate relationship. 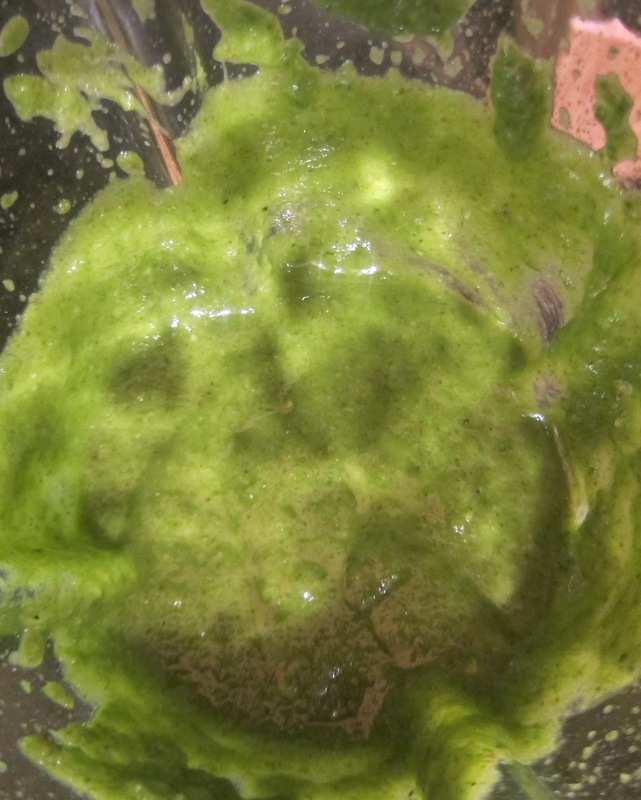 traditional pesto is made with fresh basil, extra virgin olive oil, pine nuts, and parmigiano cheese. 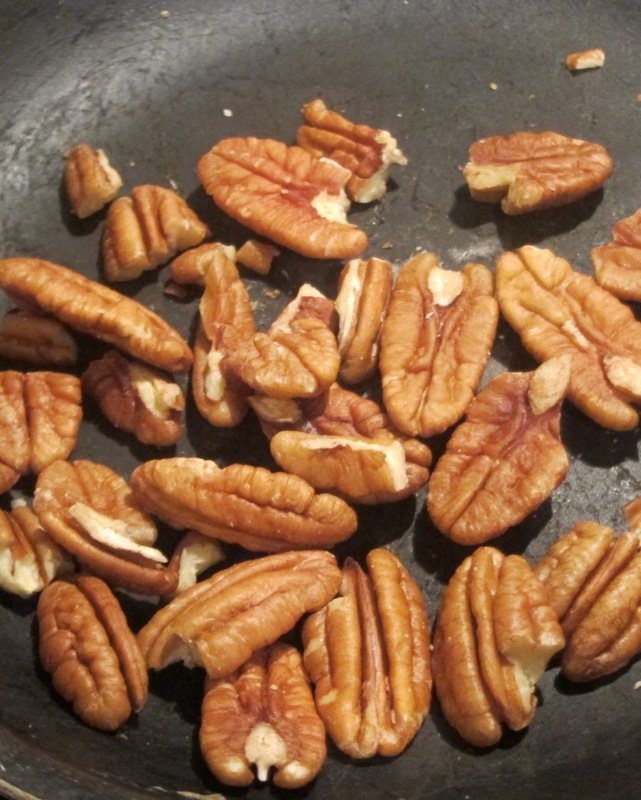 (in that order in terms of quantity) I didn’t have pine nuts so I used toasted pecans because it was all I had, and moving my tush to the store is rarely an option by 7:30 pm. I also added some spinach into my pesto both for color and for an extra boost of veggie super powers, and ultimately, because it allows me to justify the pasta in general. 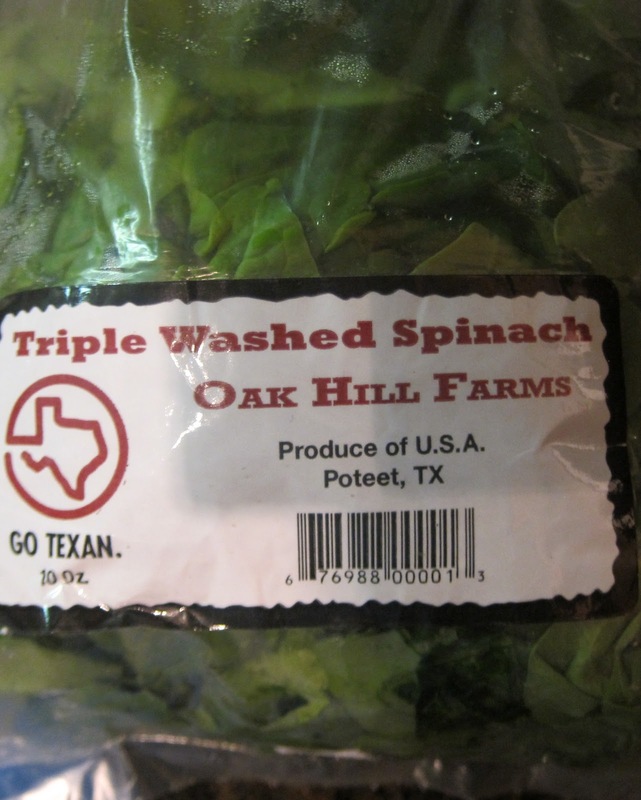 I got beautiful local Texas spinach 🙂 farm to table spinach is a totally different [better] breed of vegetable both in taste and in appearance. put a pot of water up to boil. 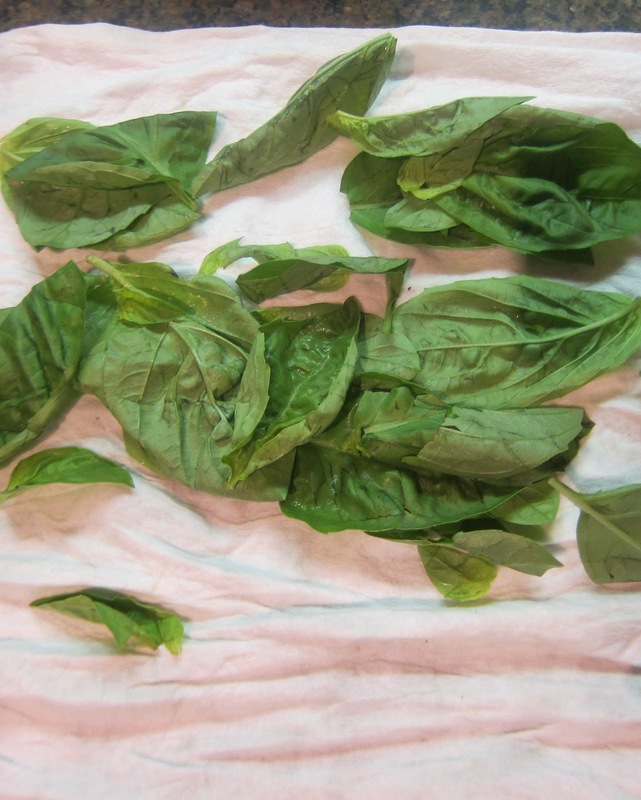 wash the basil leaves, pat dry dry dry. toast your nuts. 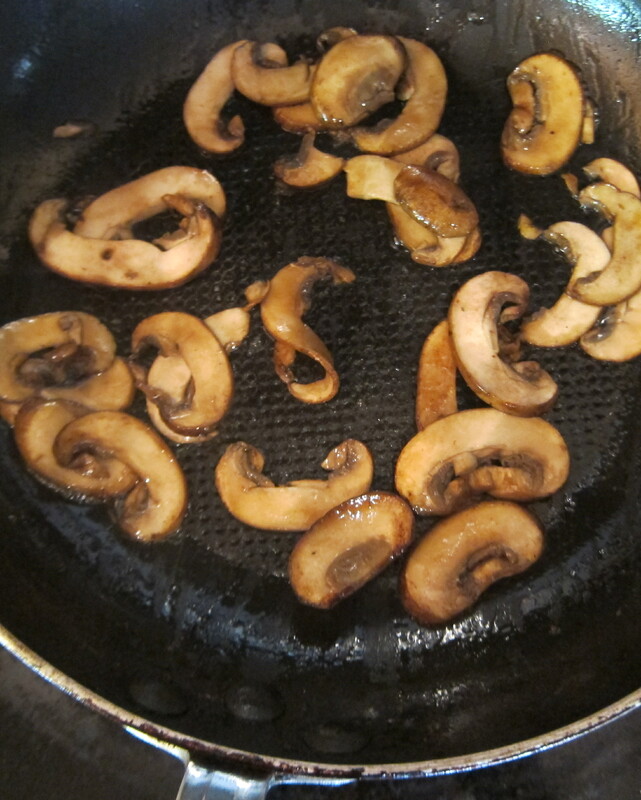 in a dry saute pan over medium heat, flipping frequently for about three minutes. 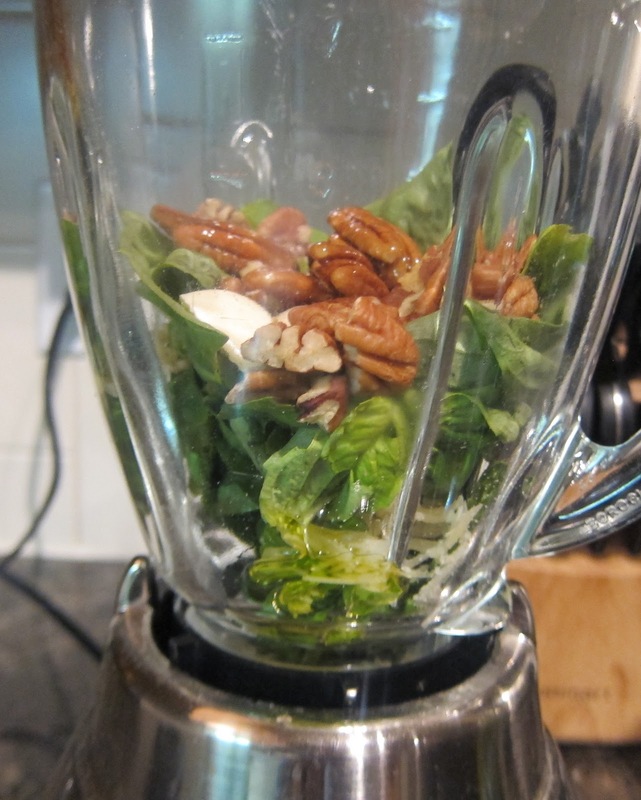 Combine basil, garlic, nuts, parmesan cheese, a handful of spinach, half the olive oil, a pinch of salt and pepper in the blender. If it doesn’t blend that means you don’t have enough oil in. 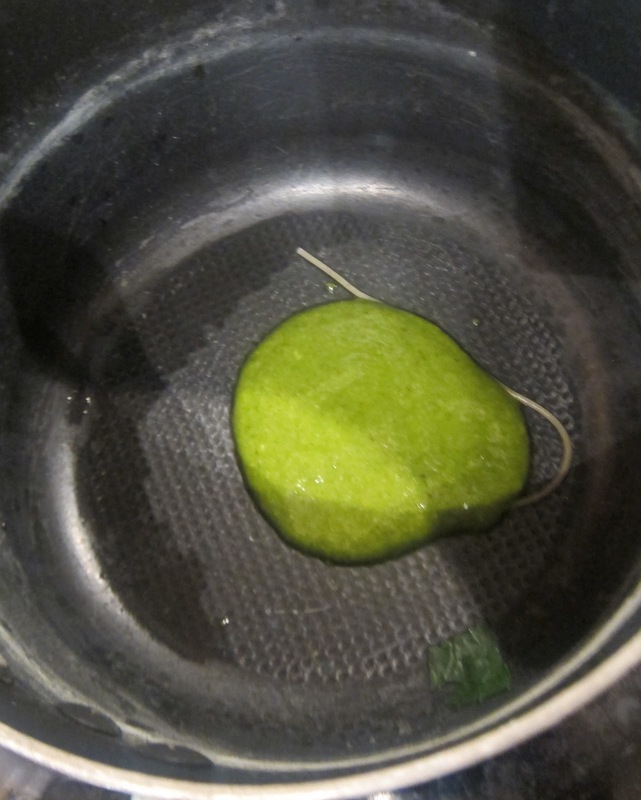 once its moving in the blender, stream in a bit of olive oil so it thickens and emulsifies. Put the pasta into the SALTED boiling water. 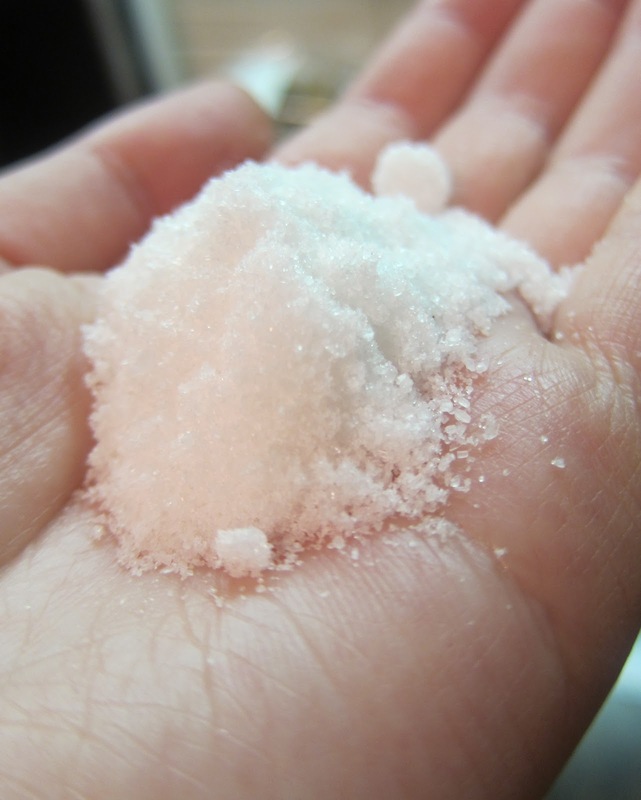 You know you’ve missed your salty friend, admit it, embrace it, and move along. 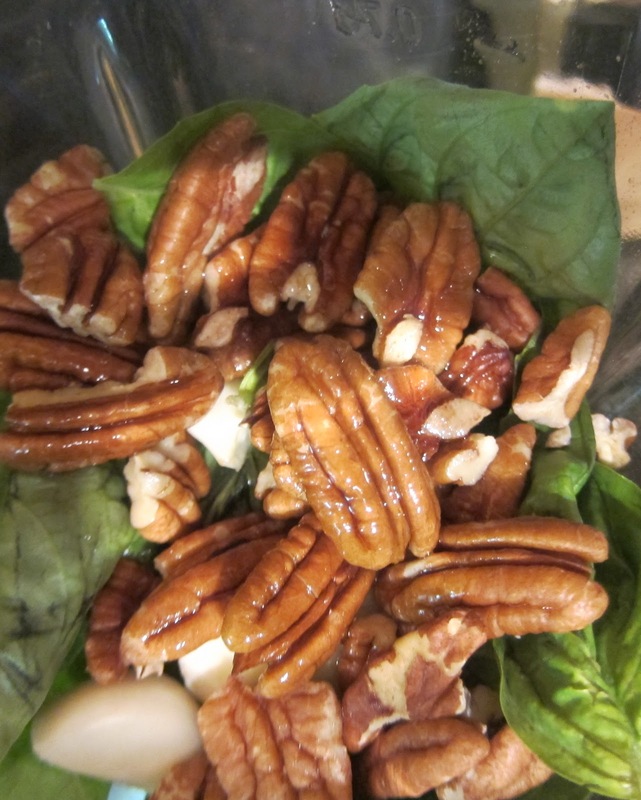 In the last minute of cooking the pasta, add in a handful of spinach and remove 1/3 cup of pasta water and set aside. Strain the pasta. 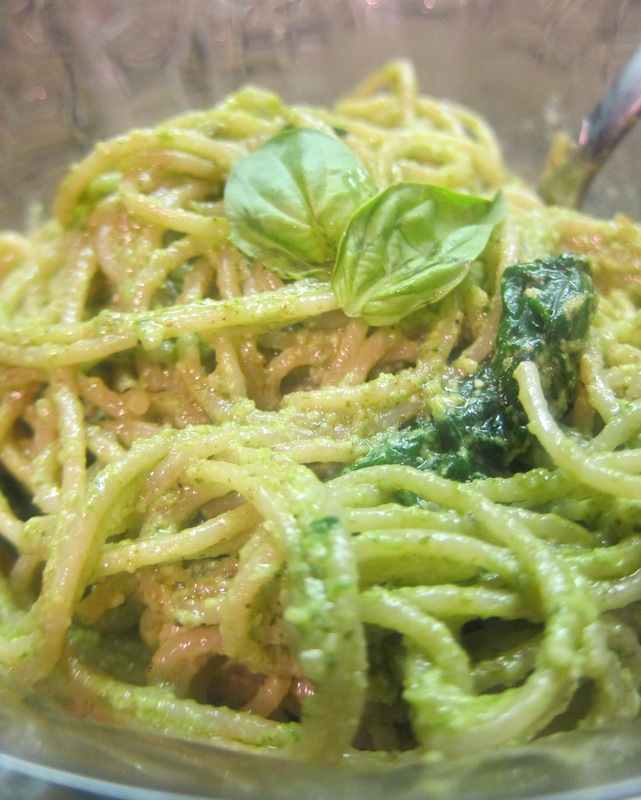 While the pasta and spinach are in the strainer, pour a dollop of the pesto into the hot pasta pot. Add the pasta back to the pot and mix. 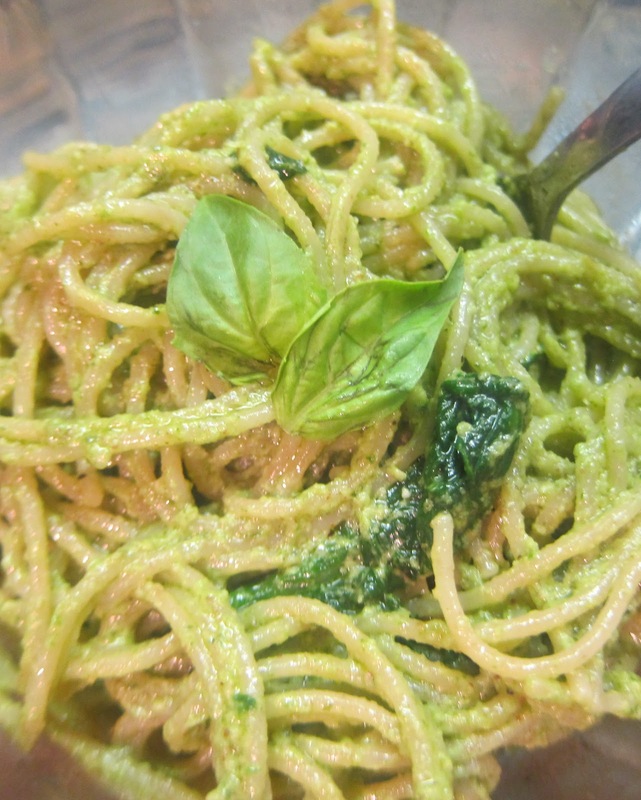 Add more pesto as desired/necessary (pesto is very necessary). 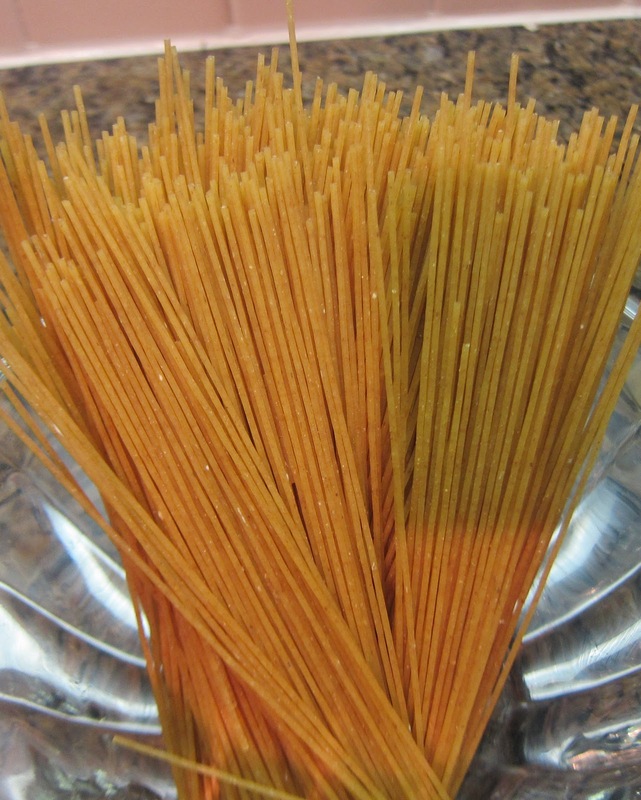 If the pasta appears very thick add a few drops of pasta water at a time until the desired sauciness is reached. After all, you are your own sauuuce bosss. Adjust salt and pepps as needed. My heart beats for this type of dish. 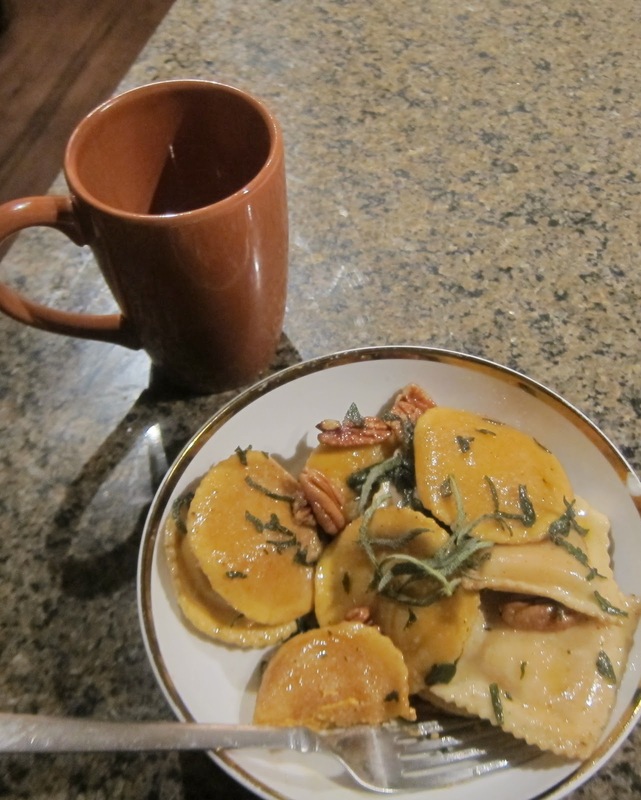 I used pumpkin ravioli and butternut squash ravioli but I should have left out the butternut squash, it wasn’t nearly as delicious and plump and flavorful as the pumpkin. 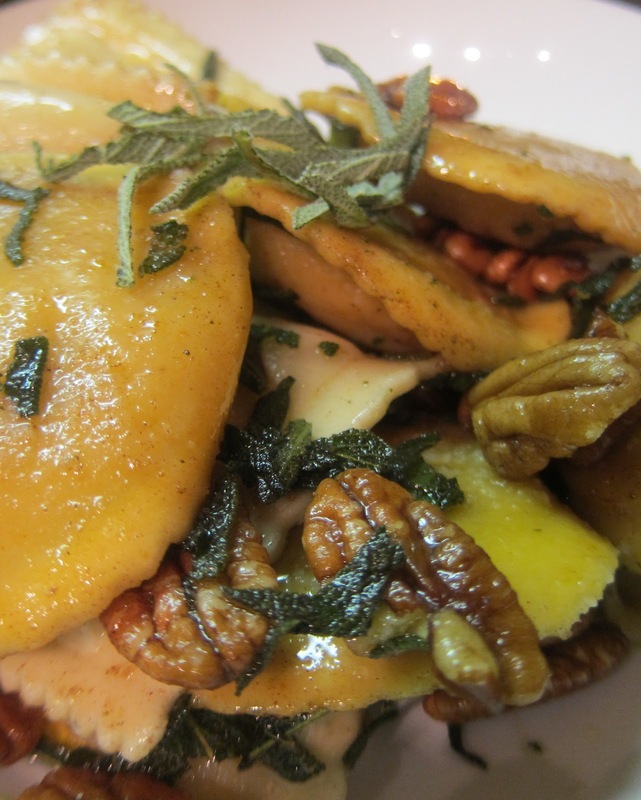 I know that it doesn’t look so beautiful because the two different raviolis don’t match etc. The taste makes up for what the aesthetics lack. 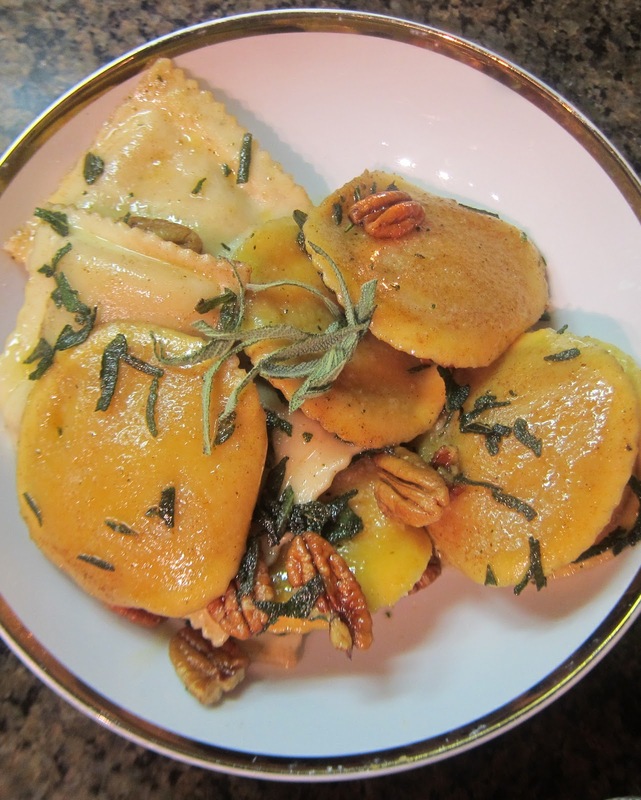 Pumpkin ravioli is widely available this time of year at your normal grocery store, if not, you can definitely find it at a specialty store like whole foods, balducci’s etc. Or just buy a pasta roller and make it yourself if you’re feeling motivated. 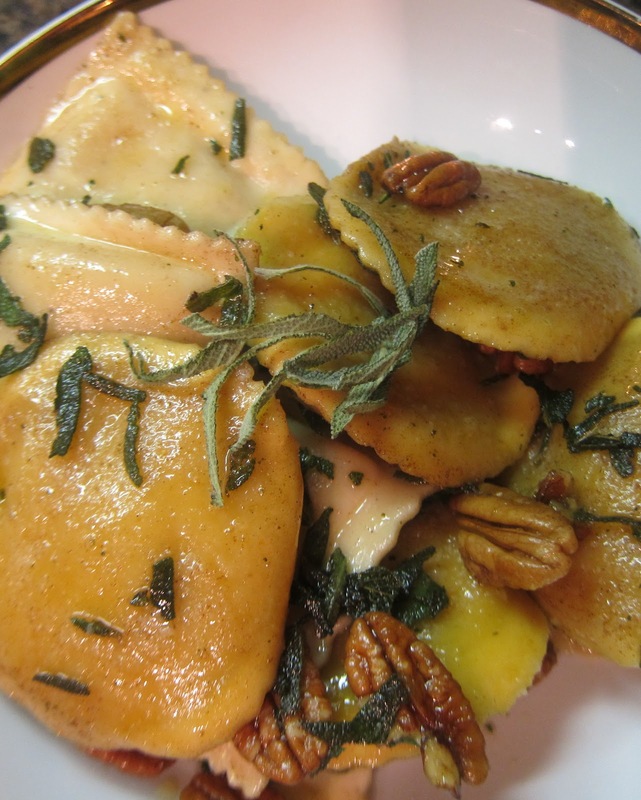 boil a large pot of water, LARGE, the ravioli request that you please don’t crowd them in the jacquzzi. 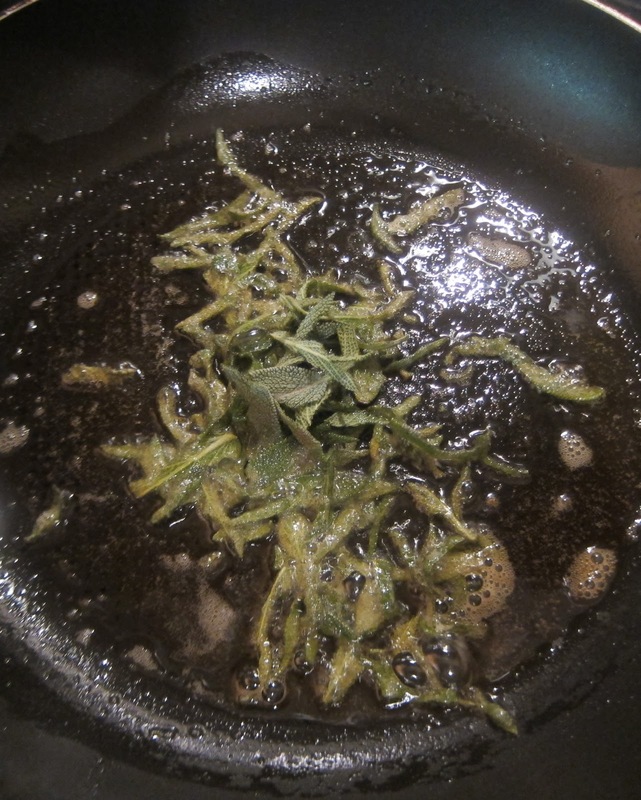 kind of chiffonade up some sage, just chop it relatively thinly and so it’s not totally busted looking. Always remember to respect your food. Respect the sage, bro. 4. Heat a medium saute pan over medium high heat, add the ravioli to the water-it takes about 4 minutes cook depending on the size. Once your pan is HOT HOT HOT Add the butter to the saute pan, it should kind of sizzle and immediately start to brown. 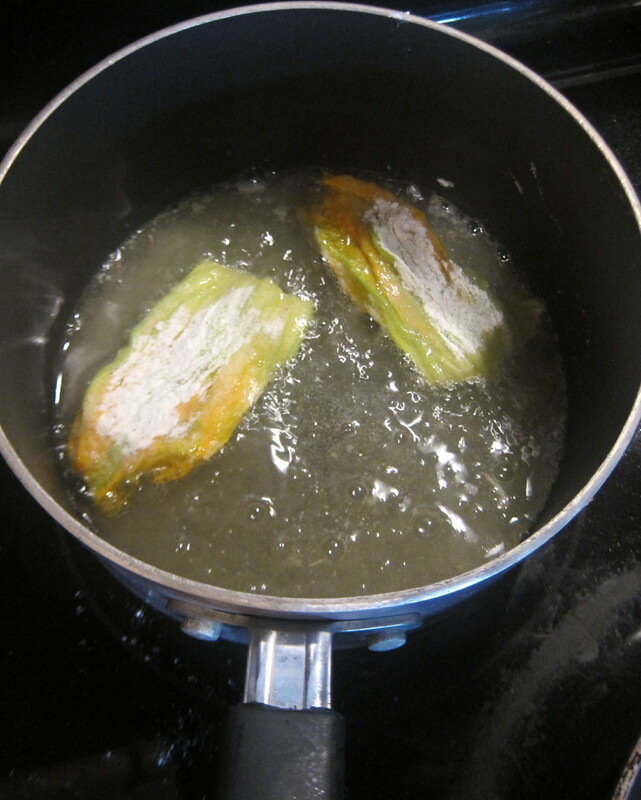 Add the sage in and let it fry up for a minute. Drain the pasta. 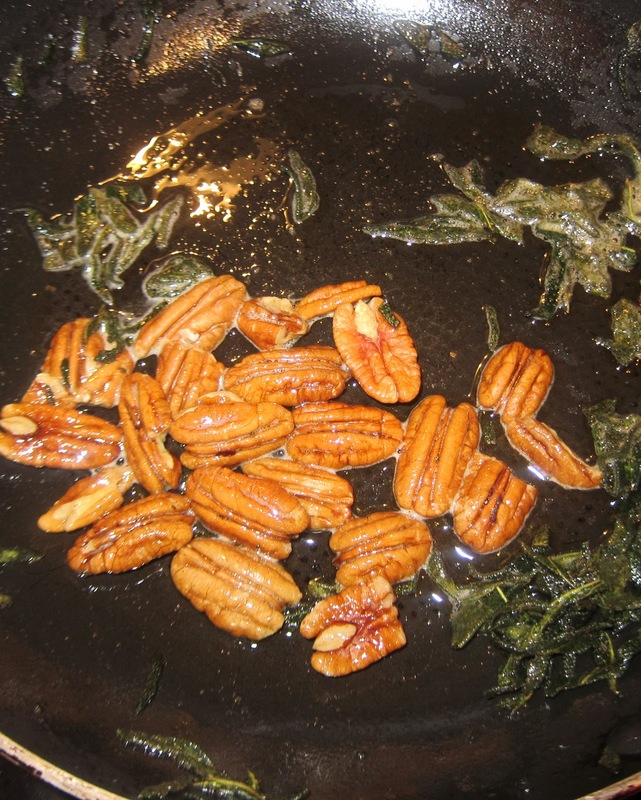 5. add the pecans to the sage butter, toast 2 minutes. 6. 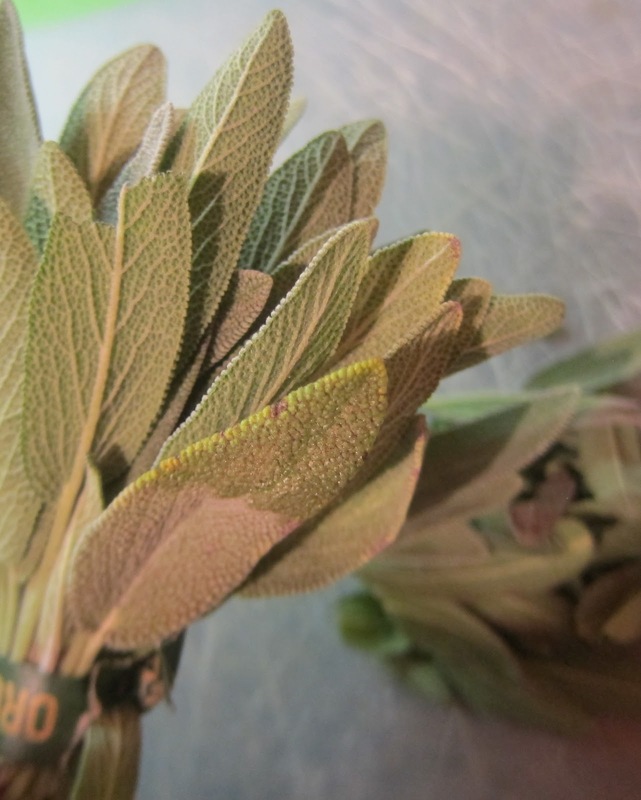 Toss the pasta in the saute pan, add a small pinch of salt, garnish with a few sage ribbons. and it’s party rocker time! Now for a quick photo montage of my pasta..
I’m about to rock your pasta world. 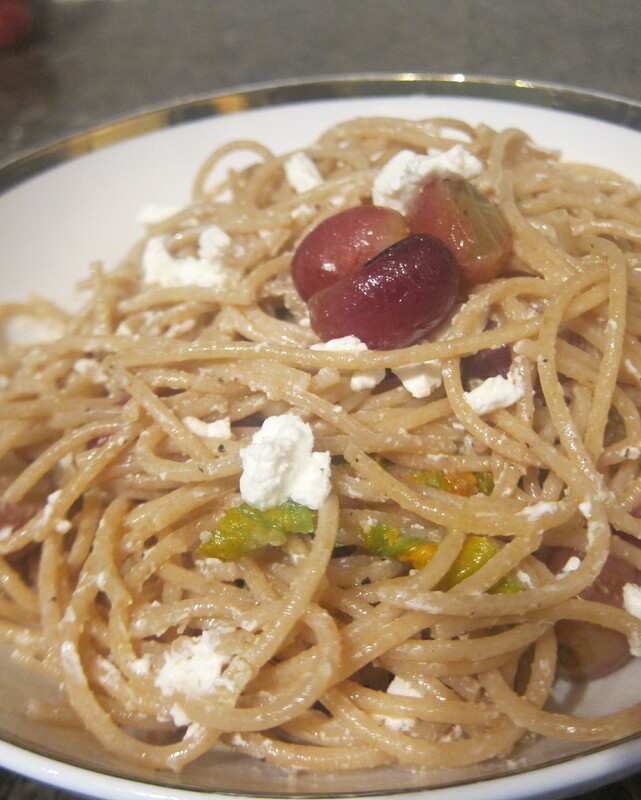 Pasta is indeed very easy, but it is also very easy to make delicious. 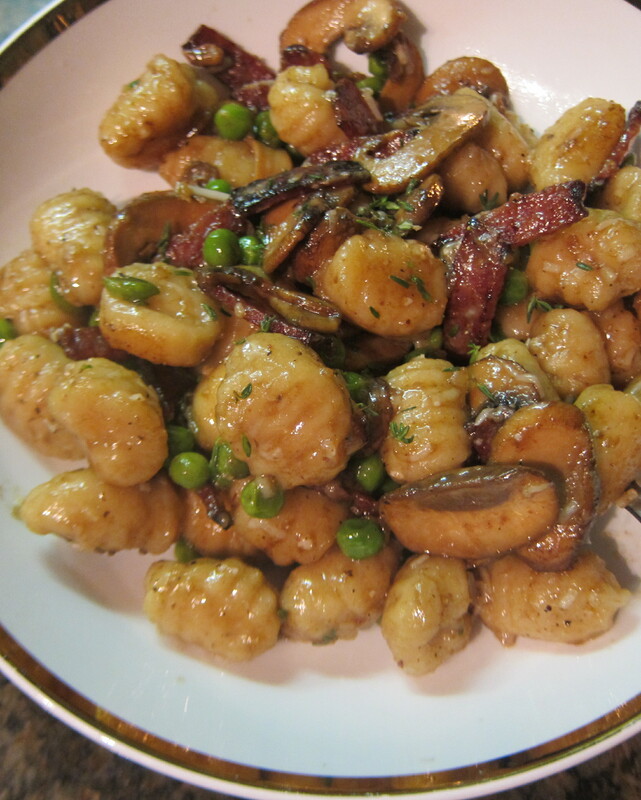 A handful of people have stolen this dish from me, including some of my peers in culinary school. Just remember, this is 100% an Allie Dobin original creation, all of those people learned it from me-I assure you. That is not cheese on top. That is an egg. My poor photography skills have yet again botched up my plating. I guess that’s why I’m a cook not a photgrapher. 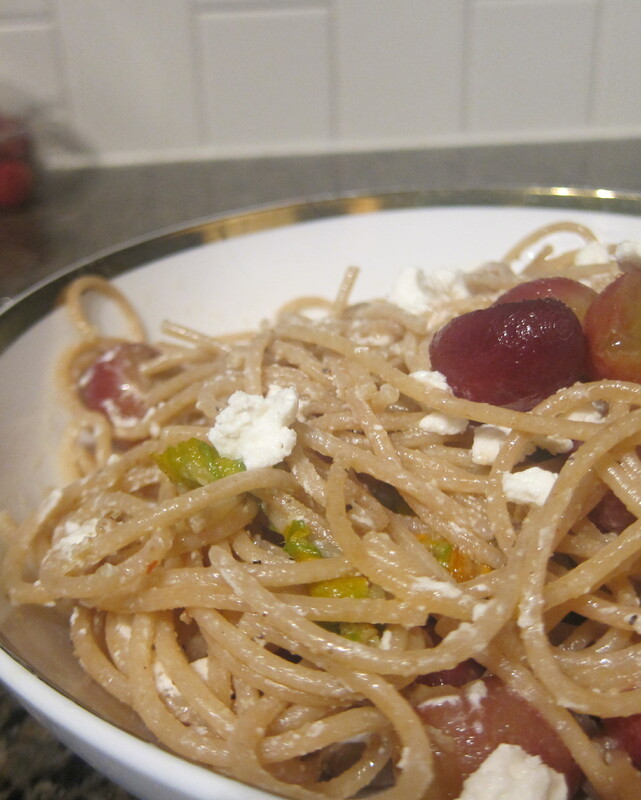 spaghetti, angel hair, linguine..whatever ya got. Ok, so usually the way i would make the sauce for this dish is to heat up olive oil and thinly sliced garlic in a saute pan. 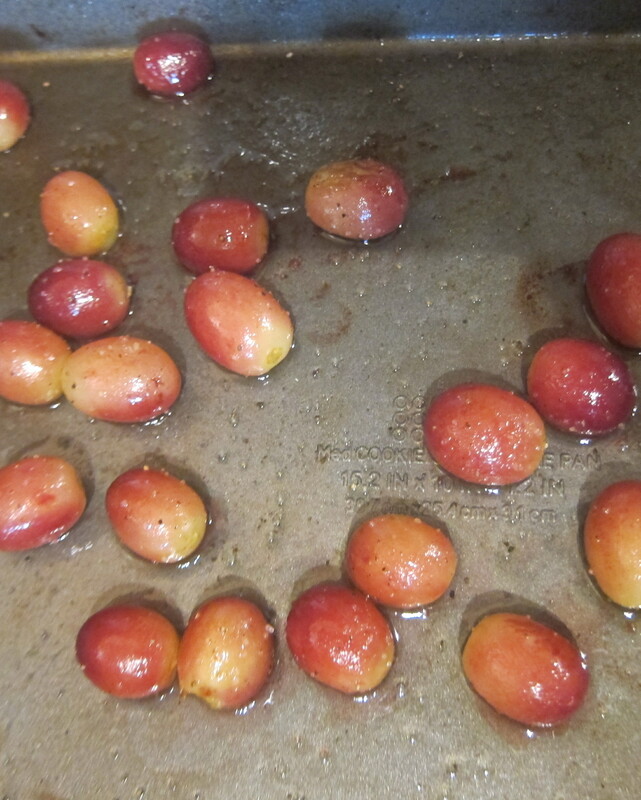 Add about 10 halved cherry tomatoes, salt, crushed red pepper and saute until tomatoes are softened, about 7 minutes. Being careful not to burn yourself with spewing lava tomato juice, smash the tomato halves with a fork, add basil, add pasta. However, today I had my panko roasted tomato halves left over from last nights dinner (see winner winner chicken dinner post) so I did something a little different, and still totally delicious. So, boil water. 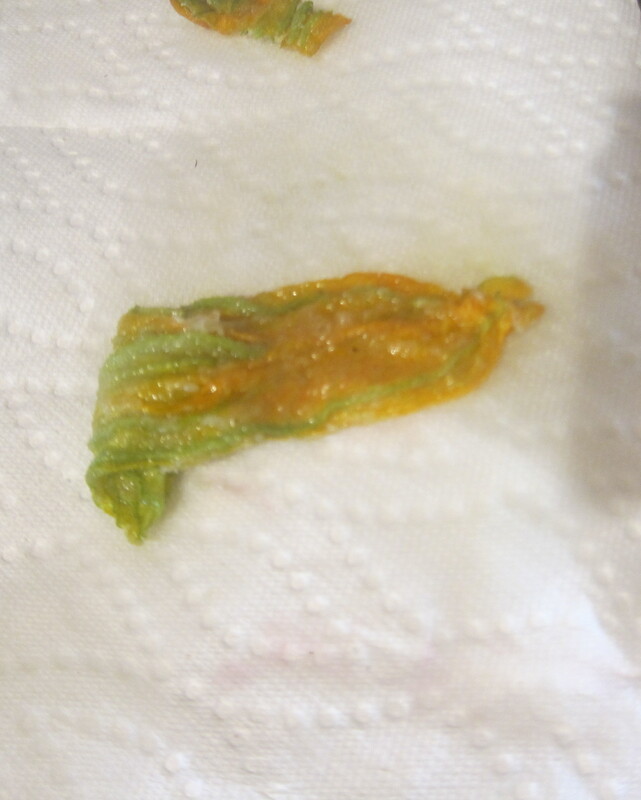 If you are doing the cherry tomato method than make the sauce as described above while the water boils. If you are using larger tomatoes or leftover tomatoes from the previous post than do as follows. 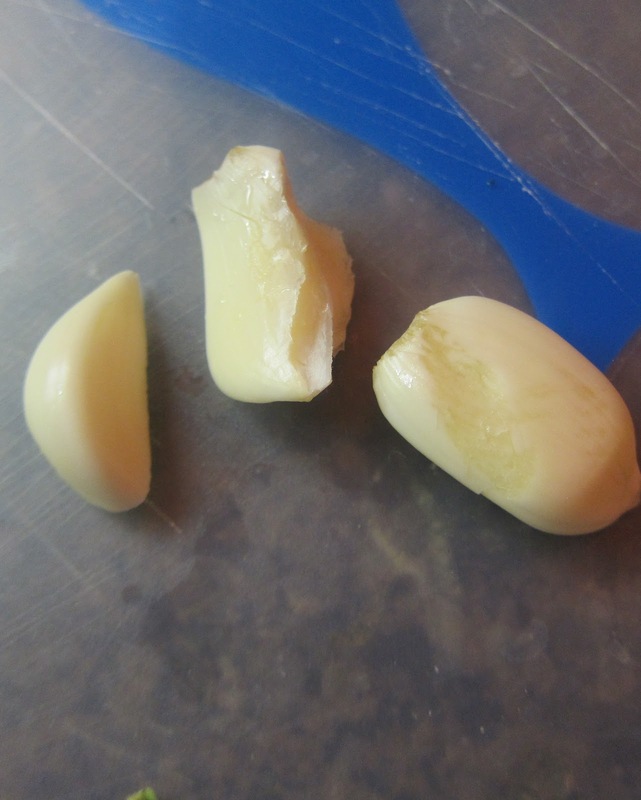 preheat the oven to 350. mince up one clove of garlic. chiffonade some basil. 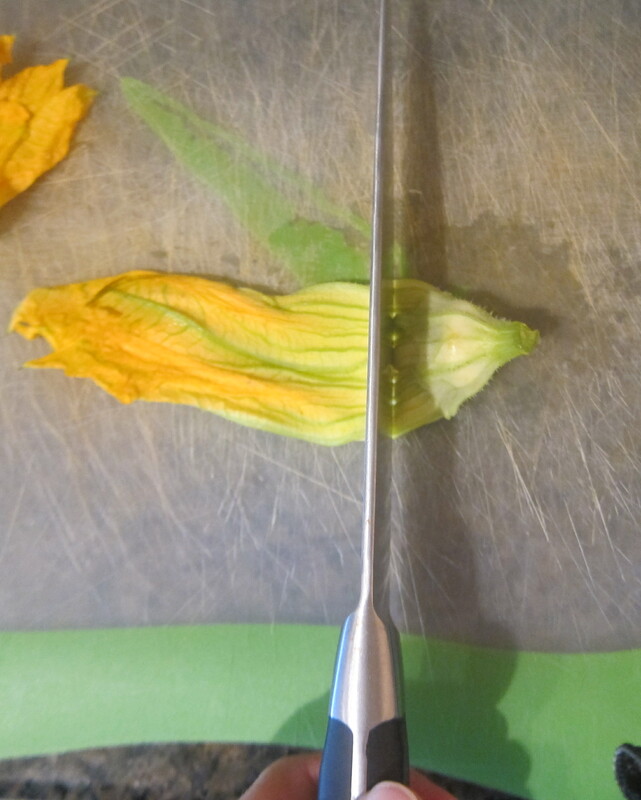 chiffonade is fancy for slice into ribbons. 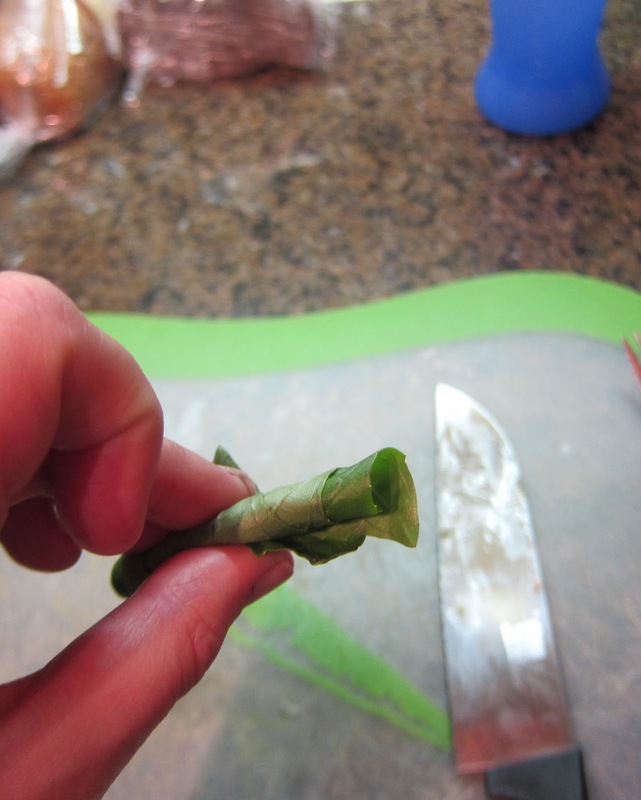 you do this by rolling the leaves onto themselves into a little cigar type thing and then slicing perpendicular-ly. 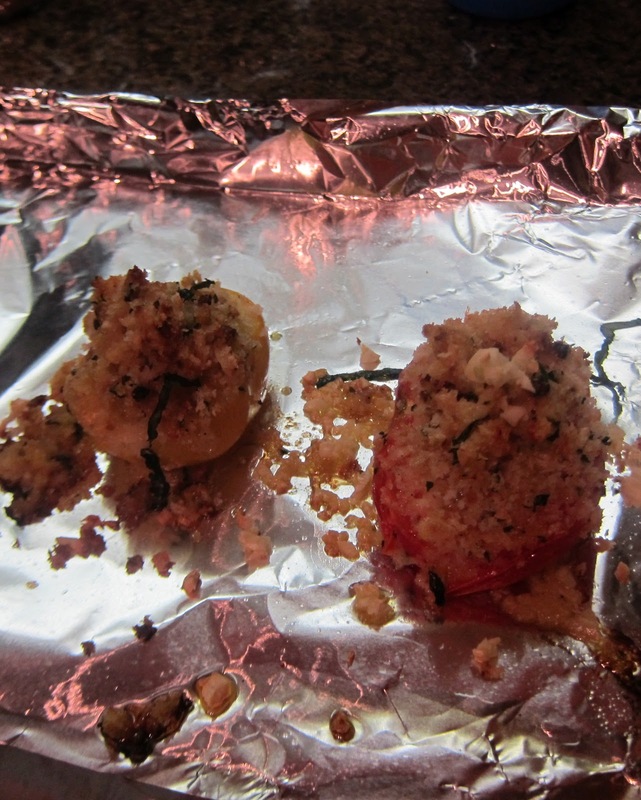 put 2 tomato halves onto a baking sheet along with some olive oil, salt, and the minced garlic clove. bake for about 7-10 minutes, until the tomatoes are soft. While the tomatoes are going, add salt to the boiling water. 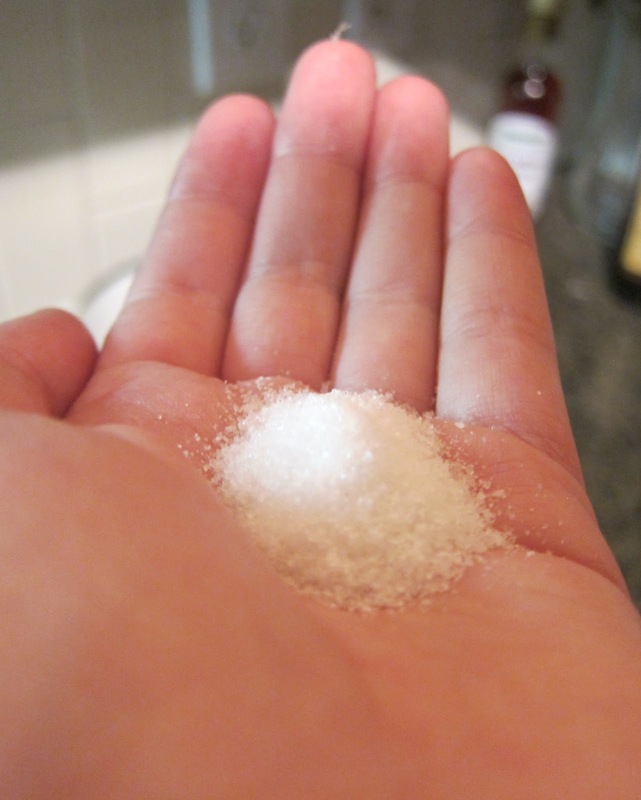 S-A-L-T. For one serving of pasta you should add this much salt. if you don’t believe me i dare you to cook a batch of pasta without salt and a batch of pasta with salt. 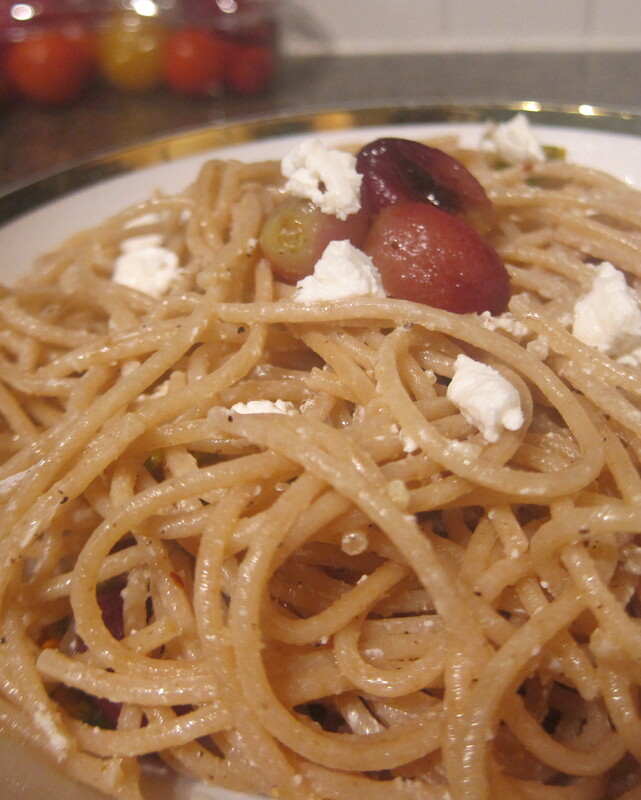 taste the pasta without any sauce and see the incredible difference for yourself. or, just trust me, and salt the water. add the pasta and let cook about 8 minutes, until al dente. while the tomatoes and pasta are going (this goes for either tomato preparation) prepare the piece de resistance…the runny fried egg. heat a saute pan on low heat. add some olive oil and add an egg. 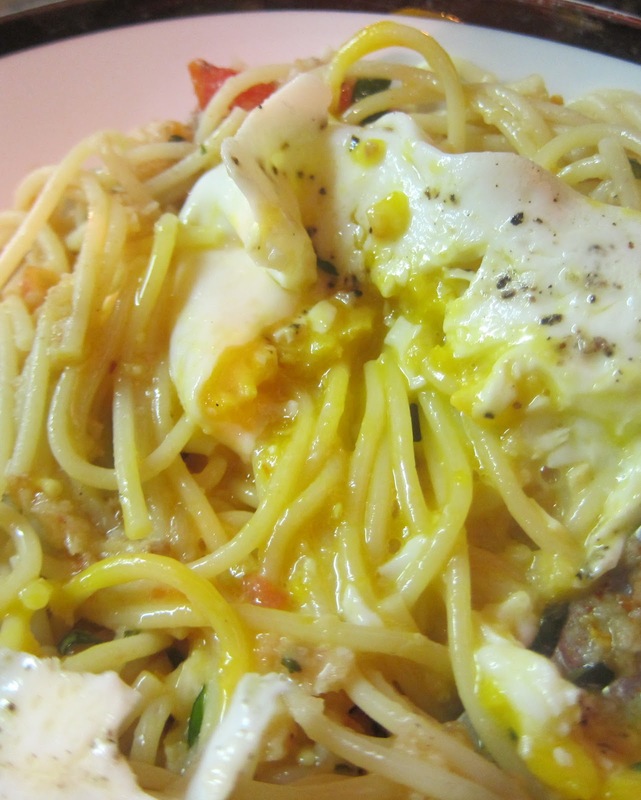 You want the egg to heat slowly so that there is no brown and so that the yolk is super runny. As soon as the white’s have set (all the part that is clear in this picture will be white) flip the egg over and turn the heat off. and put the pan on a burner that wasn’t just hot. now the pan with the egg will just hang out until you are ready for it in about 2 minutes. 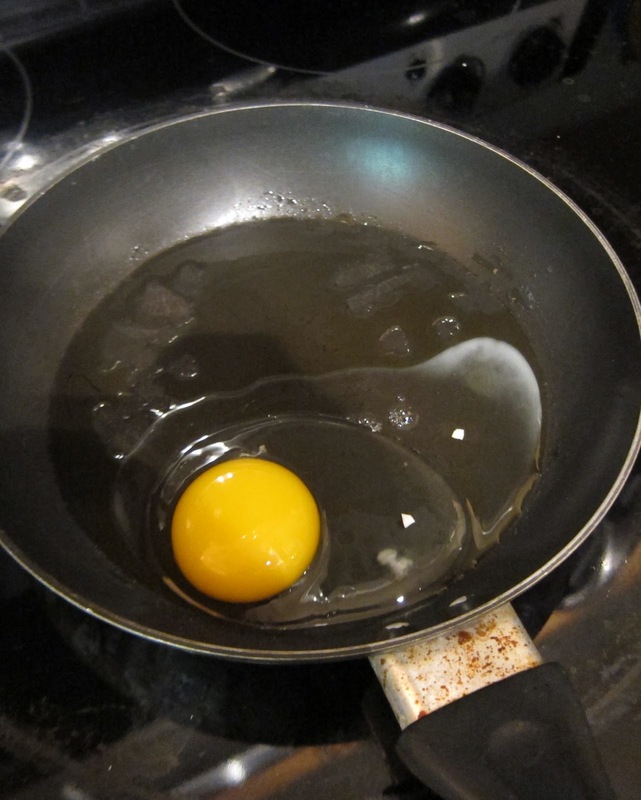 Since the pan was on such a low heat and is now off the heat completely, the small amount of heat remaining will result in a perfectly over-easy egg. 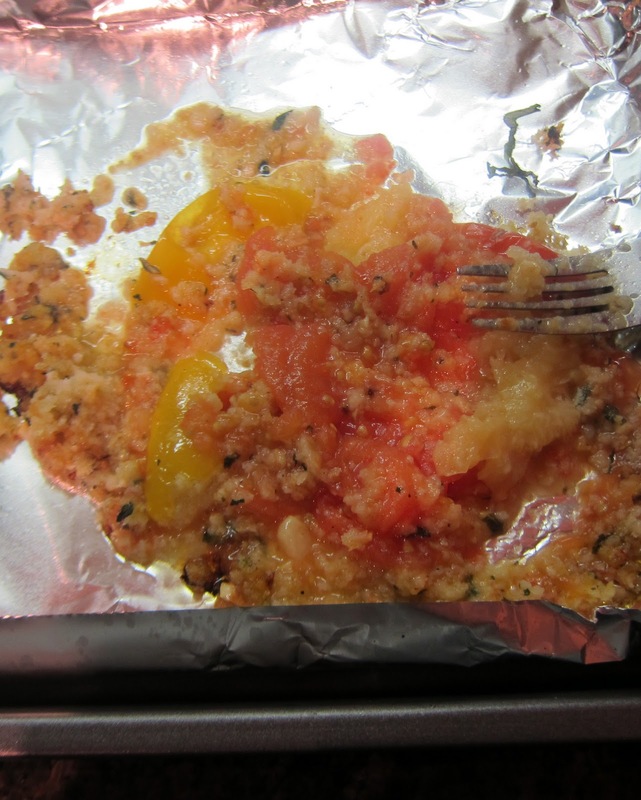 Take the tomatoes out and, using a fork, smash them up. 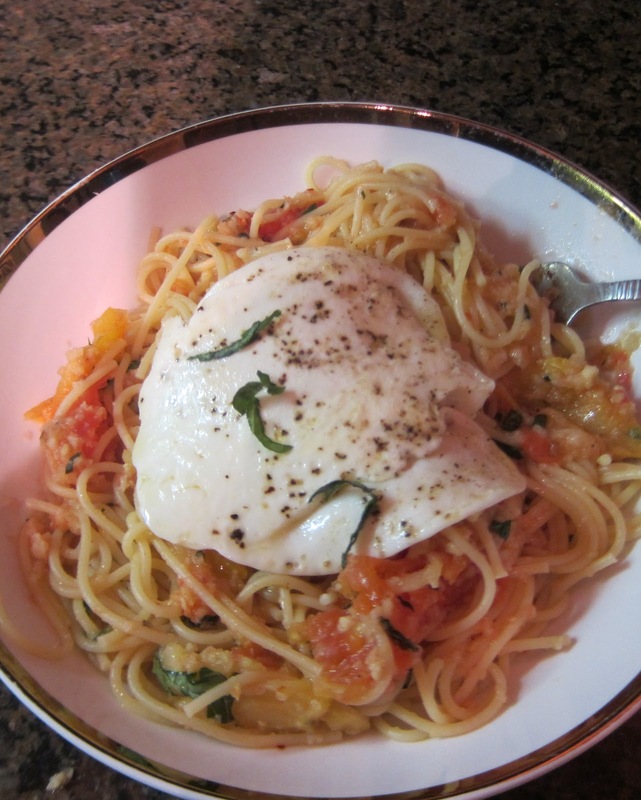 If using the cherry tomato in a saute pan method, just let the sauce hang out on a really low heat while the egg and the pasta finish cooking. Drain the pasta, reserving some of the pasta cooking water on the side. 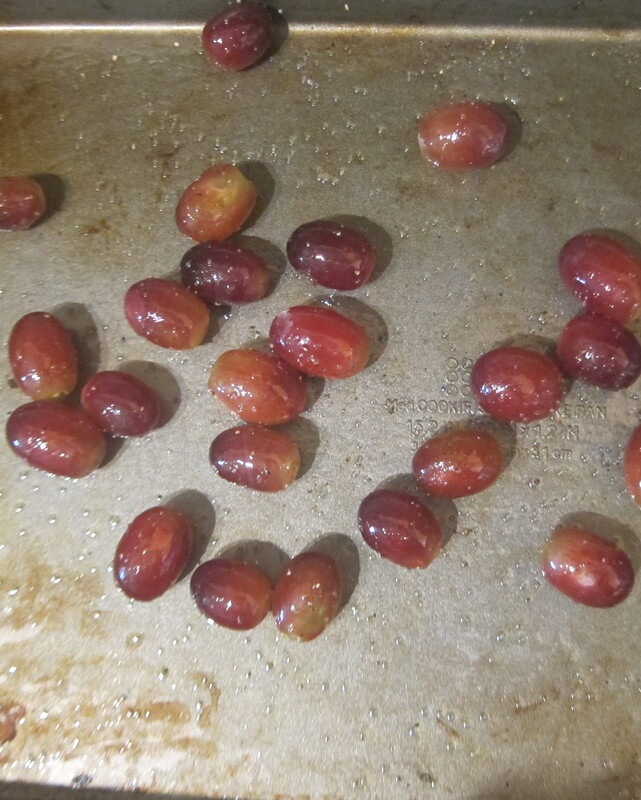 Either add the pasta to the saute pan with the cherry tomato garlic mixture or if using the method I used tonight, return the pasta to the cooking pot and add the mushed up roasted tomato mixture. If the consistency is really thick you can add some of the reserved pasta water to thin it out, if not just toss the water, adjust the seasonings on the pasta and add the egg on top. 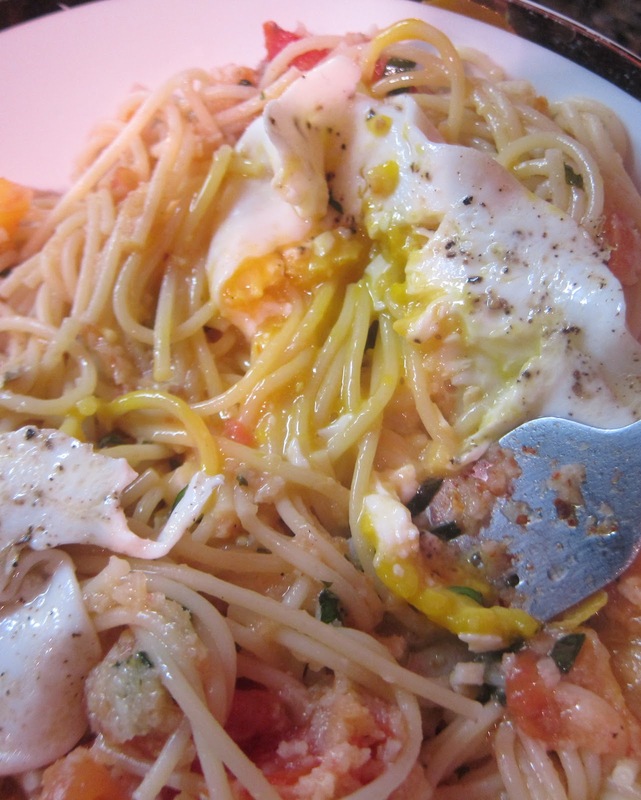 Now, you mix it all up so that the egg yolk is everywhere! Enjoy!! This might be my favorite dish that I have ever created. Everyone who I have shared it with has thoroughly loved it and I know you will too!! 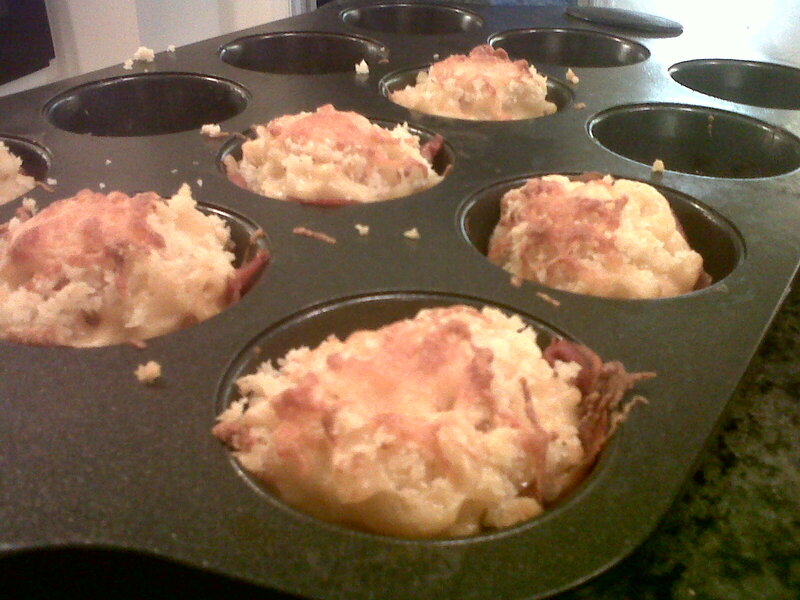 mac and cheese proscuitto cup cakes…. sorry that I don’t have a better picture. I hate cupcakes. I hate the cupcake trend that is sweeping the nation. However, if that cupcake is a savory mac and cheese pig concoction…LEGO. you can use normal size or mini size muffin pan so that you could make these a nice size side dish or a teeny little pass around appetizer! Buy some proscuitto thats about 3 inches wide. And all the stuff for the mac and cheese. 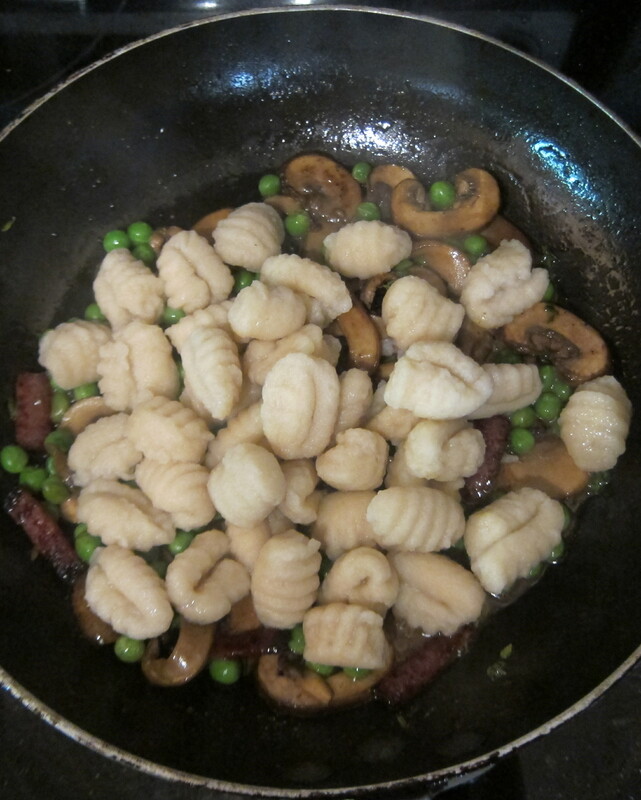 cook 1/2 lb of small elbows or small shells. Melt 1 T of butter in a sauce pan (with talllll sides), once melted add 1 T flour and mix with a whisk or spoon until there are no lumps in the roux mixture (culinary talk for flour+butter). Whisk in the half and half and let thicken slightly, about four minutes. Whisk in 3 cups of the cheddar cheese and all of the jack cheese slowly so that no clumps form. Whisk frequently until all of the cheese has melted–you’ll know when it looks right because you will think, “wow this looks like cheese sauce heaven”. At this point you can add in the sour cream. Pour in the pasta and mix it all up! using a round cookie cutter that is a little larger than the size of your muffin wells, carefully cut out circles from the prosciutto and place them inside the muffin tins. the sides should come up to the top of the well or even a little bit higher. pop the muffin tin filled with the proscuitto circle cut outs into the oven for about 4 (yes, four) minutes just to crisp a little bit. the pig will experience a little shrinkage, dont worry about it. take the muffin tin out and fill the proscuitto lined muffin cups with spoon fulls of the mac and cheese topped with some panko and some extra shreds of cheddar. 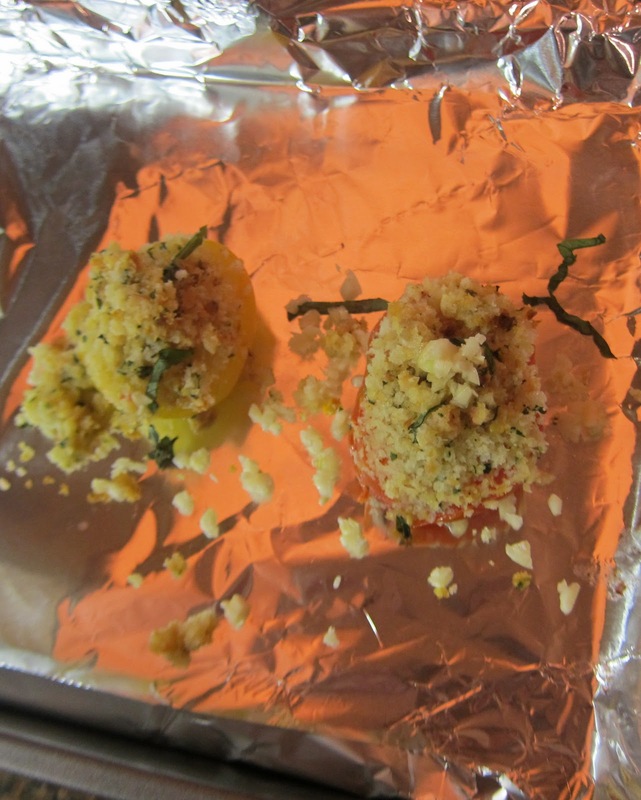 back into the oven until the tops are golden and bubbly and the proscuitto cups are nice and crispy. use a spoon to remove and let your taste buds experience a whole new world, a magical place that they never knew. i apologize for the lack of pictures, i have one good one on my camera and when I get back to Austin I will upload!